Following Supernatural’s 300th episode, The CW released the promo for episode 14.14., titled” Ouroboros. Check out the promo below and catch the episode on March 7, 2019! 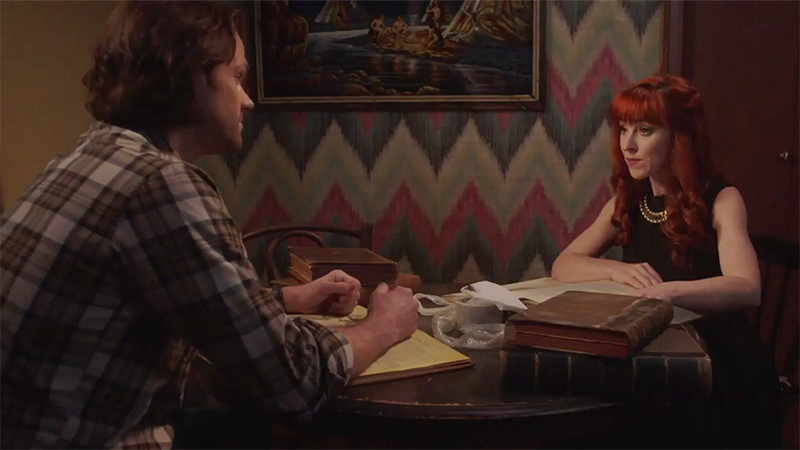 An official synopsis has not yet been released for the episode, but the promo features the return of Rowena (guest star Ruth Connell) and Jack (guest star Alexander Calvert) possibly losing the remainder of his soul as Sam (Jared Padalecki), Dean (Jensen Ackles), and Castiel (Misha Collins) try to prevent Jack from burning off more of his soul. The post Supernatural 14.14 Promo: Ouroboros appeared first on ComingSoon.net.